Hey ya'lls! I haven't posted in a while, and so I decided to conjure up something to post about. The quickest easiest posts to do...........hair posts! I've been wearing wash-n-go's a lot lately. This is a big deal because I'm someone who hardly EVER wears them. 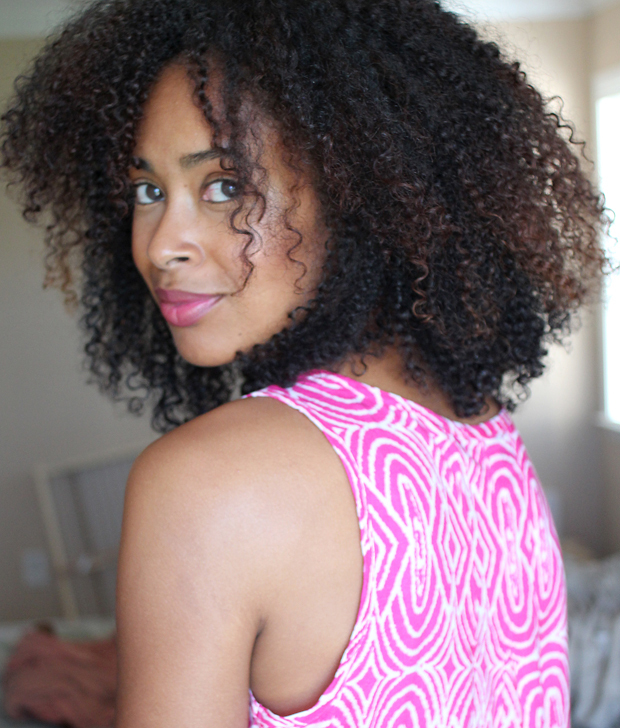 Well, lo and behold, I stumbled upon this natural hair vlogger and tried out her method of wash-n-go. This method works! It just works!! I don't know why all of this time I haven't tried to apply product in sections. I've always been under the impression that it's better not to disturb the curls once out of the shower as it can hinder the "clumping". Well it doesn't, and because every single hair actually gets some product on it--the clumping snaps right back! 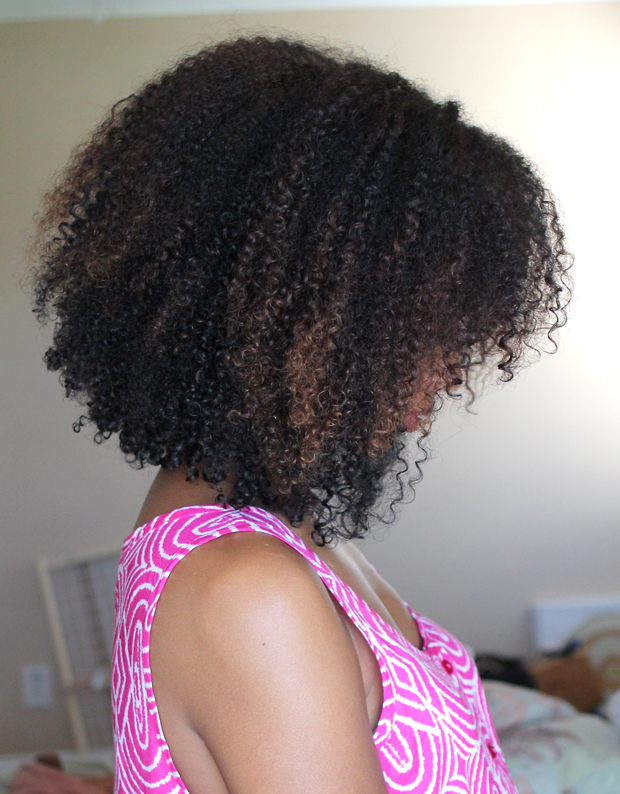 I suggest you check out this wash-n-go method video and give it a try. For the record, the products I used were: 1) My oil blend (coconut, almond, olive, castor), 2) Shea Moisture Curl Enhancing Smoothie, and last 3) Fantasia IC Gel, in that order with each section. I didn't use as many sections as she did in the video. I say experiment and do what works for you. 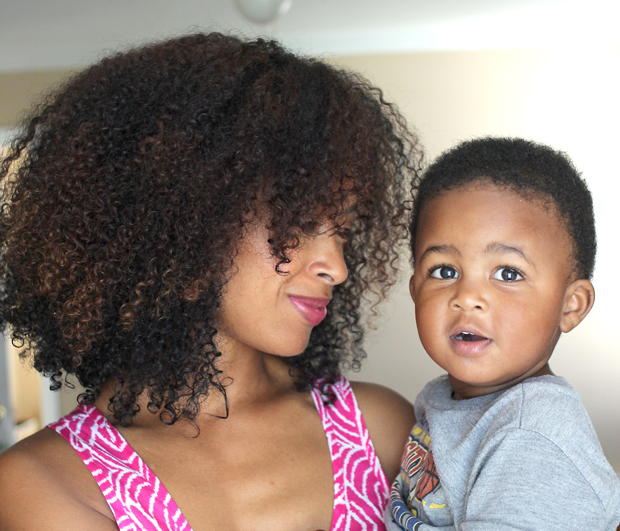 By the way, while trying to take pics of my hair, my youngest insisted that I pick him up so he could take pics too. Who am I to deny him? YOUR curls are perfect!! check out my post about some ATL hair industry entrepreneurs! You'd love them! Thank you! And I'm going to take a look now! Your wash n go looks great! I've warmed up to the idea of giving them another try for this summer, they're so darn easy! They were my go to in my TWA days but haven't really been my friend since. I think I just needed to modify my technique and never figured out how to adapt it as my hair grew longer and longer. 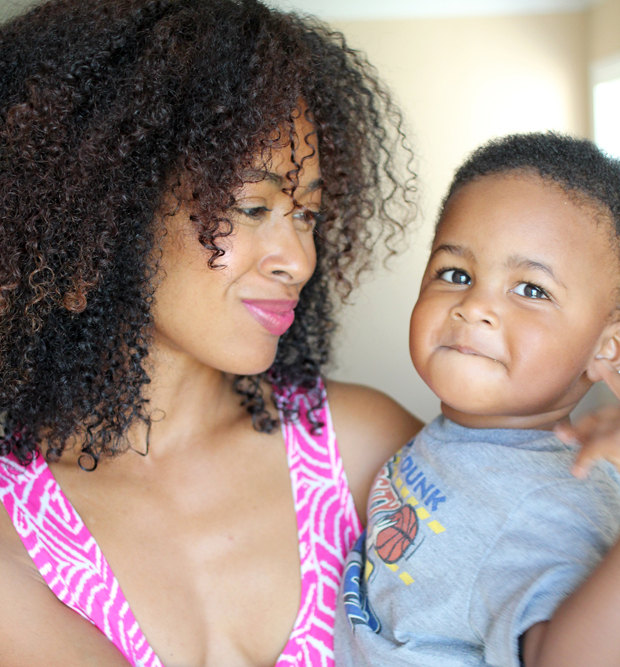 I love those curls and your cutie pie!